This mom is definitely winning the best homemade Halloween costume award. Stephanie Pokorny, of Mentor, Ohio, crocheted an elaborate E.T. costume for her nearly 2-year-old son, Jack, and photos of it are going viral. 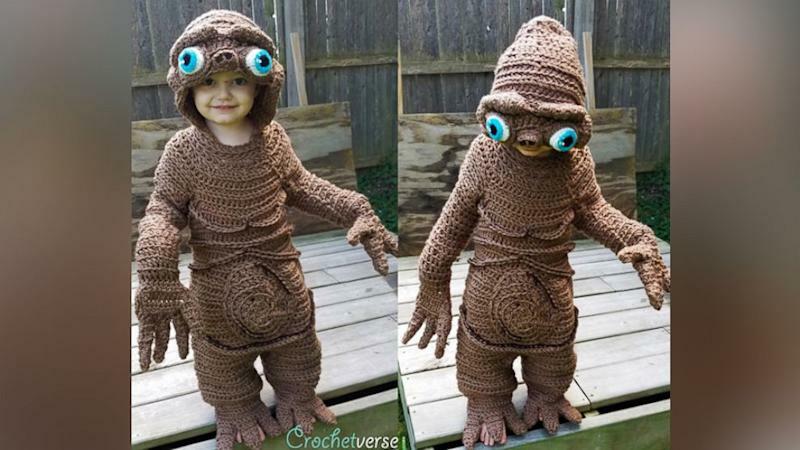 Pokorny is a professional crocheter who runs the website Crochetverse, where she posted the photos of her adorably alien-like little boy. It now has nearly 4,000 shares and more than 1,000 likes. Despite the intricacy, creating the costume took her only four days. As for how she could ever top this E.T. costume in the future, “Lord knows,” she said with a laugh.